The Kindle doesn’t know how to spell the name of it’s own screen technology! E-ink is what creates the paper-like screen on the Kindles. While reading a book with the Kindle app, I wrote a note inside the book. 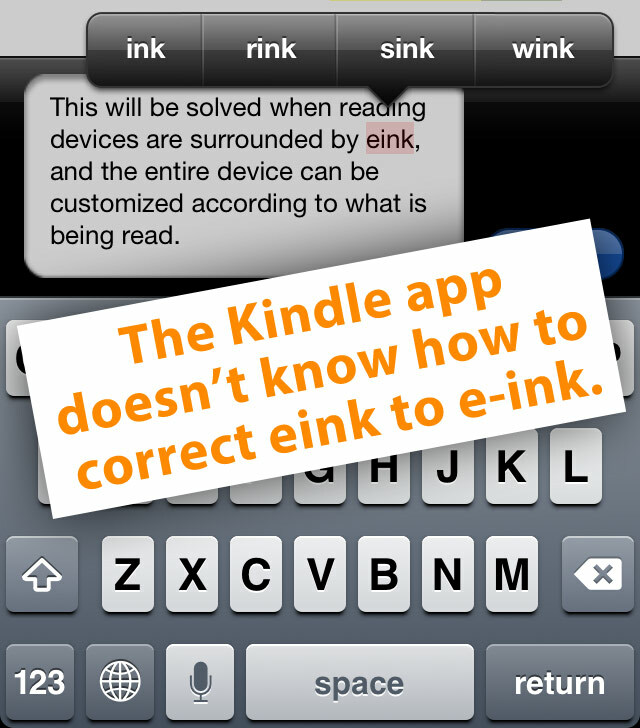 Inititally I typed “eink.” The Kindle auto-spell didn’t correct “eink” to “e-ink;” instead it offered ink, rink, sink, wink.